Thrown by the enormity of his goal, Jake decides the one thing he can do to make a real difference is save the family of his friend Harry Dunning. Harry's family was murdered in a small Kentucky town by Harry's out-of-control father, Frank. But does Jake have what it takes to kill a man and what are the consequences of violence, even against someone as dangerous as Frank? Frank Dunning: [after Jake takes a swig of moonshine] Don't you go spitting that out. I made it fresh this morning. Jake Epping: I hope you cleaned the bathtub out beforehand. I can understand the public having a problem with insensitive animal killings, but standing up for a cause has absolutely NOTHING to do with TV production quality, acting, or any artistic performance. If we graded all films, TV Series, or any on-screen production based on its moral content, then the majority of genres would be rated garbage and unacceptable. Depicting truth on-screen is not always pleasant but that doesn't mean it's a trash production. In fact, reality is often more harsh than what's depicted on-screen. Every horror film deserves a 1/10 ? 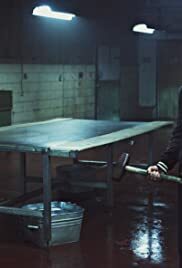 Crime shows ? The infinite displays of infidelity ? Any story with horrible truths, no matter how well produced and acted, should automatically receive a poor rating ? Where do you draw your line ? Kidnapping, murder, and adultery are suitable for viewing but animal cruelty is not ? Humanity must be confused. Viewers need to understand how reviews work. You are NOT rating the morality of the content on a scale of 1 to 10. You are rating the quality of the film making, the storylines, the acting and the script writing. In actuality, evoking such emotional response most likely indicates the product was of the highest quality. Attempting to discredit an episode based on support of animal rights or a scene being too realistic is not only unfair and self-righteous, but defiles and taints the rating process. There are some very unfortunate truths in life that are difficult to accept and I don't think a film or TV production should be penalized for portraying those truths, especially when it is relevant or important to the story and character development. The 1/10 user review based on animal cruelty needs to be discarded and omitted from the rating.